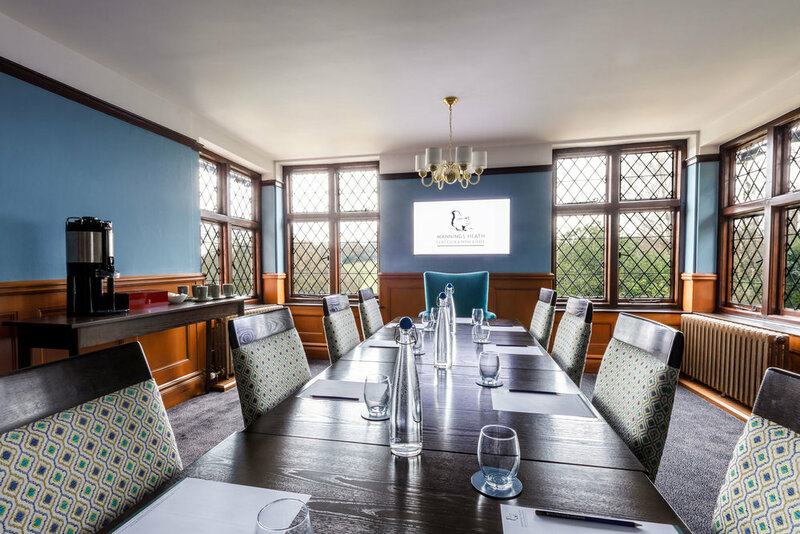 Our stunning 17th Century clubhouse has the flexibility to suit your kind of meeting, from small boardrooms for 10 delegates to large function rooms for a conference for up to 100. All our meeting rooms have been recently refurbished offering a stylish, well equipped, light and airy working environment. Exceptional attention to detail ensures a flawless meeting. Our knowledgeable and dedicated team is always on hand to facilitate any event or meeting request you may have. Our rooms are versatile and can be configured to meet your specifications, with a wide variety of audio visual equipment available to make your event a success. Why not add a round of golf to your meeting?